Data Field Engineer Jobs in Bharati Airtel | Walkin Drive From 13th to 19th May 2017. Bharati Airtel is conducting Walkins in Chennai for BE, B.Tech, Diploma students for Data Field Engineer positions. Interested job seekers can attend for this Bharati Airtel Recruitment 2017 on or before the 19th May 2017. Aspirants who had experience in Telecom Industry are eligible to attend for this Walkin. Candidates should have knowledge in IP technology to handle Ethernet circuits. 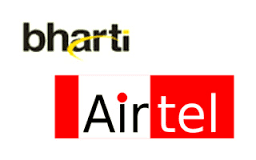 As the last Date is fast approaching for Bharati Airtel Company, candidates can start their preparation by checking out Bharati Airtel Written Test papers and Bharati Airtel Interview Questions which will be very useful for the job hunters. This will be a good opportunity for those people who wants to get a job in IT Sector. Candidates can utilize this opportunity to set career. Contenders are also suggested to check the Official Notification to avoid further Complications. Competition for these vacancies is very difficult so the candidates have to work hard and Practice well for the Recruitment. For other IT Jobs in Chennai and Placement Papers, candidates are welcomed to Go through our site Freshers Jobs for more Official Stuff. Salary INR 1,00,000 – 2,00,000 P.A. 1-2 Years of experience in telecom industry. Hands on experience in IP technology to handle Ethernet circuits. Hands on experience in Router configuration and SHDSL modem configuration. Sound knowledge in Networking basics (CCNA certified preferable). Hands on experience in Data Products (PRI / ILP / LL / MPLS / IPLC ) including high bandwidth Testing & troubleshooting. Regular interaction with the business team and other cross functional team to fulfill the customer requirement. A person should willing to work 24/7 and night / Sunday shifts. Timely delivery (within SLA) of Service Delivery and service assurance. Must have Two wheeler license and vehicle. Education Qualification: B.E/ B.Tech / Diploma ( E&C). Experience: 1-2 years in Telecom field. Interested contenders can attend Bharati Airtel Walkins in Chennai from 13th to 19th May 2017. It is the exact place to search the accurate details about Bharati Airtel Careers 2017. We hope this page will give the clear information and it will helpful for the job seekers.